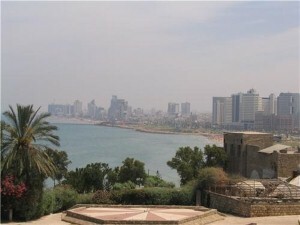 Brits are expected to flock to sunny Israel now that low ccost airline bmi has launched new flights direct to Tel Aviv. The announcement looks to be good news for those organising their summer holidays who are hoping to get a taste of what the Middle-Eastern country has on offer. Already a popular tourist haunt, Israel appeals to holidaymakers of all types thanks to its sunny climate, cultural delights and glorious Dead Sea. Nigel Turner, chief executive officer of bmi, said: "Tel Aviv is a key destination in the Middle East and I'm delighted that today we launch daily non-stop services." Passengers will be able to fly direct to the Israeli city from Heathrow – marking the 38th destination for bmi. Music fans jetting in to Tel Aviv this summer will have plenty to entertain them with the Israel Philharmonic Orchestra holding their annual concert season. The orchestra has performed more the 10,000 around the world since it was established in 1992.